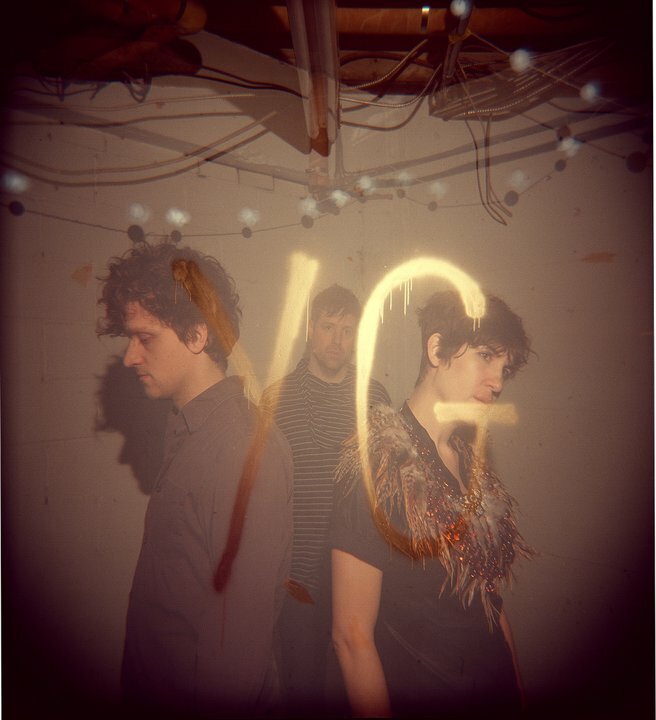 The elegant Canadian band Young Galaxy makes their return to Seattle on September 20th for a Neumos show with fellow Canadians Junior Boys. This year saw the release of their third album, Shapeshifting, and it’s a gorgeous work of soothing power. I got to talk with one of the band’s two founding members Stephen Ramsay (Catherine McCandless being the other) about the challenges of making the album, the band’s other interests, and his very early obsession with music. For Shapeshifting you worked via long distance with your producer. Did you need to be very detailed in your approach? Stephen Ramsay: Yeah, basically it was like recording two records. The finished product is a deconstruction of the first recordings we did as a band, and then we sent them away to Dan Lissvik in Sweden. We gave him a green light to do whatever he wanted to do to the recordings. This wasn’t a surprise we thought we’d just randomly try out. We talked a lot about what approach we would take so he was very aware of where we were going with it and where he was going to take it. It ended up being a twofold process and took almost a year to complete. It was an arduous undertaking but one I think in the end we’re really happy with. It some ways broke the mold for the band in terms of what we assumed ourselves to be, musically. It took us in this direction where we feel like we can kind of do anything we want, musically. We have a number of choices, and I think that’s always an exciting place to be in when you’re in a band. A lot of bands, from early on in their time as being a band, they have this idea that they have to find their sound and hammer away at it. I think that often leads to a very insidious, kind of conservative streak. They’re not very experimental. I’m always annoyed when I hear that a band has released “their experimental record” and it has a couple of keyboards on it. It sounds just like the last record with more keyboards. Shapeshifting is a cool album. I especially like “Cover Your Tracks.” Was that song a collaboration? SR: I started the process on it. A lot of the record was written on our computer in our spare room in our house. Traditionally we would have gone to our rehearsal space and written a very guitar-based record. This time we decided to work from a palette of sounds that were more computer-based, maybe starting with rhythms first . . . That song in particular was a beautiful hybrid, everyone left their stamp on it. Did you and Catherine meet while touring with Stars? SR: I was touring in Stars, and Catherine is a schoolteacher by trade. She was doing university course work at the time. I toured with them as their guitarist for a couple of years around the time of Set Yourself on Fire. They really helped us launch our careers by teaching me how to be in a band. I’d never been in a band before that. I doubt I would have been able to do my own band without the experience of being in that band. They’re very dedicated musicians. When I jumped in I had to sink or swim. I felt very privileged to be in that position. Your Seattle show will be the first time I have seen you. Do you bring visuals to your live shows? SR: We do. For a while we brought a laser and a smoke machine. We were kind of doing our own do it yourself light show. We kind of had the sense in playing in little clubs, particularly in the beginning, you feel like you’re playing under one of those little heat lamps at a buffet. There’s this one little yellow light and it’s really hot, and it’s right in your face. You feel like a chicken wing. So how can you surprise people, and make people excited about what they see live? The music has traditionally been introspective and atmospheric, so it’s hard to bring a particular energy by jumping around and doing high kicks. We wanted to make the environment conducive to transporting you. Now we’re actually playing to a projection – there’s a projection over us with visuals. Part of going to a show is the fully encompassing experience of a live show. It’s nice when you can see a band that really blows you away and all they’re doing is standing and playing their instruments. But I feel like most people have seen a lot of shows and seen so many bands that they have to bring something that really feels like the whole room is being transformed. I was reading in an interview you’re a fan of a group of artists called Fauvists. Are you really into art and art history? SR: I studied some in university. Both of my parents were painters. I have a lot of their paintings in my home. My mother is a teacher and was always trying to engage my family in some level of artistic expression. Music and visuals go hand in hand. They’re a beautiful compliment to each other. Our last video was a hand painted one and that was really exciting for us. Paint feels like such an antiquated type of art now because everything has become digitized and film is a very easy medium to work in. Going back to painting was really exciting for us. Catherine is also a painter; she works in watercolors. We like to collaborate with other people in other mediums as much as we can. The video for “We Have Everything” turned out really well. I also wondered where you got the cover photo for your album Invisible Republic? SR: I think it was in 2005, before we’d even put out our first record, Catherine and I had just moved to Montreal. We went to the World Press Photo Exhibit and the second place winner of the nature section was this photo. I looked at it and I said to Catherine, “Wouldn’t that be the best album cover?” When it came to doing our second record I thought, maybe I can find the person who took this photo. He happened to be a Norwegian photographer [Pål Hermansen] who does a lot of work for National Geographic. He was really kind of excited about the idea because he’d never been approached to use his work in such a way. I sent him some music and he liked it. We went from there. We realized it never hurts to ask, even if you think it’s a far-fetched idea. It’s such a beautiful photo. I feel very attached to that album and the art. The next one, Shapeshifting, was the same deal. 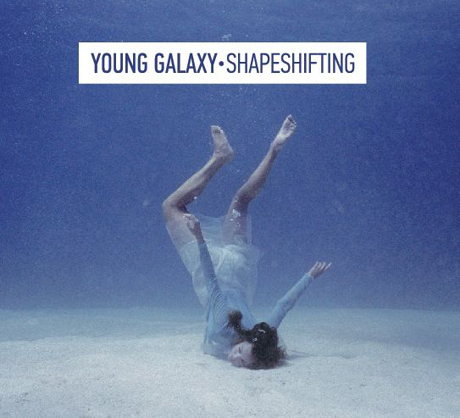 [Shapeshifting’s cover is a photo by photographer Maura Biava]. You and Catherine had a baby in May? Boy or girl? Is s/he touring with you? SR: He will be. He’s a road baby. We decided we’d bring him out early in his life. We want him to know what we do. I was also reading in an interview that you’re a fan of SCTV. I love that show. What are some of your favorite parts? SR: So much of it. It was so brilliant. So many famous comics came out of Second City: Martin Short, Eugene Levy, Bill Flaherty, Rick Moranis, Catherine O’Hara, Andrea Martin. It was Canadian, which I thought was cool. There was something about the brand of humor. My dad was really into it. [Humor] defines a lot of the connection I have with my family. In a way it was something specifically, culturally Canadian to me. In a way sense of humor defines you. I look at my son now – he doesn’t have to be funny, he just has to have a well-defined sense of humor. I’m sure he will. If he goes on the road, there’s no way he won’t. Being on the road is inherently absurd. You’ve also mentioned that you had a poster of Ace Frehley on your wall when you were a baby. Is this one of your earliest memories? SR: I had a really intense relationship with music from an early age. The first band I got obsessed into was KISS and being really young, like four years old when I first heard of them. I responded to the cartoonishness of them. There was something about Ace Frehley I liked best. I think it was probably because he had silver makeup. I remember sucking my thumb and looking at my KISS poster on the wall. I think that may be weird. Who has a rock band poster on their wall at that age? I was reading that it was initially kind of difficult to get Catherine to sing? SR: She was shy. She wouldn’t even let me be in the room with her when she started singing. She found it very intense and personal. If you’ve heard her voice, you know it comes from somewhere very intense in her. Now she’s comfortable singing. In a way it was a good sign. If it meant that much to her, and she cared so much about how she’d be interpreted it suggested she has a very strong emotional connection to it. It’s one thing to be really talented at singing technically; it’s another thing to sing from a place of emotion. That’s not easy to tap into. I think she comes by it very naturally. Did you start in music in your teens? SR: It didn’t even occur to me that I could be a musician. I was so involved as a fan of music. I wanted to be in a band, I talked about it but I never picked up an instrument until I was twenty. I joined Stars when I was about 28. Really I was a late bloomer as a musician. I grew up in a small town in Vancouver Island. Had I been around more musicians I might have started earlier. Any chance you’ll do “The Sun’s Coming Up and My Plane’s Going Down” on this tour? I love that song. SR: Thank you. We have not done it in a long time but I was thinking the other day that we should. I’m going to run it by the band. It’s a powerful tune. We used to do it up until Invisible Republic. I’d like to dust it off. It’s just a matter of delivering the atmospheric quality. When you have a song that doesn’t have drums in it, you’d be surprised how people’s attention span wanders. That comes a lot from playing in environments where people don’t know who you are. We sort of abandoned it in favor of more up beat songs to capture people’s attention. But those days are over now, I feel like more people know who we are. And that you just asked, I feel like there’s a familiarity there with the material. Written by: Dagmar on 09/12/2011. 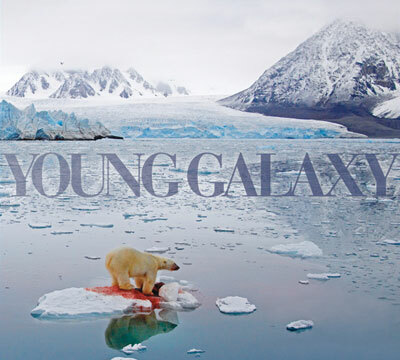 This entry was tagged posted by dagmar, young galaxy. Bookmark the permalink.